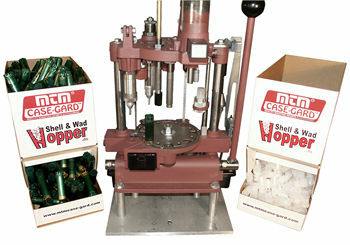 Shell & Wad Hoppers hold and dispense over 300 empty 12 ga. hulls or 500 wads, keeping them confined and at your fingertips. You will reload faster and have a better looking loading bench. With a set of Shell & Wad Hoppers, sold as a twin pack, dealing with empty hulls and wads is no longer a hassle, and yes, can even be a pleasure.